Folic acid (also known as folate or vitamin B9) belongs to the water-soluble vitamins, which can’t be produced by the body itself. It is indispensable to the formation of blood cells and numerous metabolic processes. In case of a folic acid deficiency, cells can no longer divide and multiply properly, which can have serious consequences—especially for rapidly growing tissues (bone marrow, gastrointestinal tract, etc.) as well as for fetal growth. 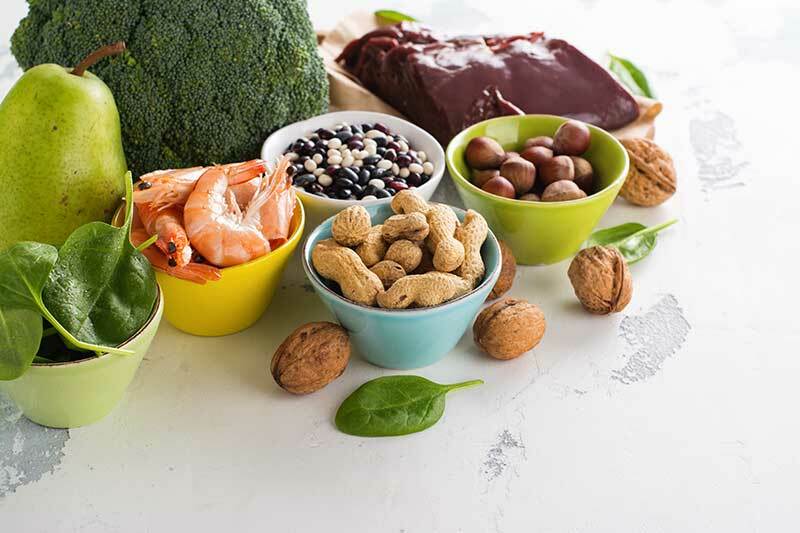 When your body isn’t supplied with sufficient folic acid, anemia can occur, which can manifest through persistent fatigue, weakness and difficulty concentrating. Unusual pallor and a reddened tongue that seems inflamed (glossitis) are typical symptoms. In addition, lack of appetite and weight loss can occur. Folic acid deficiency can be caused by an unbalanced diet or liver and digestive disorders. Serious effects of folic acid deficiency include shortness of breath and irregular heartbeat since the body is no longer supplied with sufficient oxygen due to a lack of red blood cells. Especially during pregnancy, an adequate supply of folic acid is essential to safeguard the health of the growing baby. If a mother-to-be suffers from folic acid deficiency, the development of the embryo can be disrupted and damage to the central nervous system can occur. Folic acid deficiency during pregnancy is also associated with certain birth defects such as neural tube defects (e.g., spina bifida). Spina bifida (split spine) is a so-called neural tube defect in which the spinal cord fails to develop properly. It is one of the second most common congenital anomalies. About one in 1,000 babies are born with a serious birth defect. In addition to spina bifida, the risk of cleft lip and palate, heart defects, urinary tract defects and other anomalies also increases. Premature birth is associated with an insufficient intake of vitamin B9, as well. Studies have also shown a link between folic acid deficiency and autism. 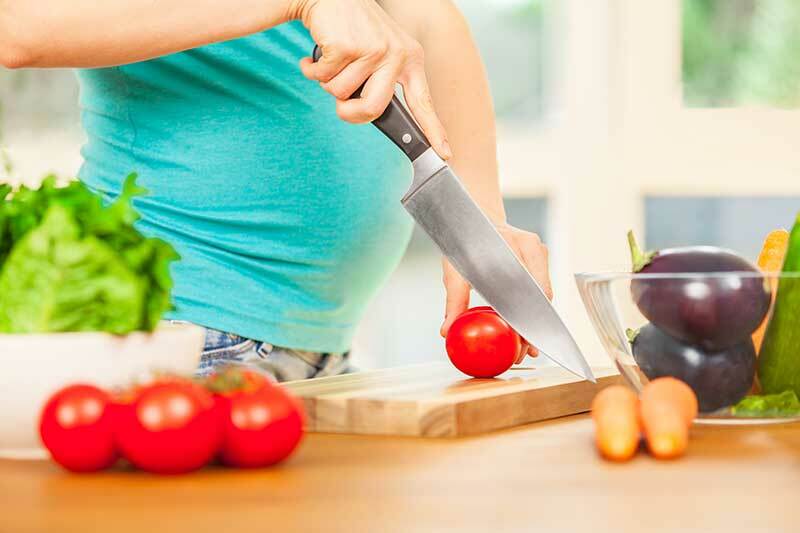 During pregnancy, the demand for vitamin B9 increases by about 50 percent. Valuable sources of folic acid include legumes, yeast and wheat germ. Green leafy vegetables (lettuce, spinach), asparagus, carrots, tomatoes, radishes, green cabbage, Brussels sprouts as well as soybeans, avocados, bananas, oranges and meat (especially liver) are also good sources. Vitamin B9 is also found in milk, nuts, fish, egg yolks and whole grain products. Unfortunately, the body does not absorb enough of this vitamin through food alone. This is particularly true for pregnant women who have an increased need for folic acid. This vitamin is extremely sensitive. Heat, oxygen and light all have a negative effect on the folic acid content of food. Alcohol and a range of medicines such as estrogens, barbiturates, sulfasalazine, etc., inhibit folic acid metabolism as well. The body is unable to store folic acid. In addition to eating a balanced diet rich in folic acid, women should take a suitable supplement containing this important vitamin before and during pregnancy. Food should be consumed as fresh as possible since this will ensure it contains more folate. Vegetables should ideally be served raw or briefly steamed. The German Society for Nutritional Medicine advises women of childbearing age to consume 600 additional micrograms of folic acid each day through dietary supplements. Supplements that not only provide folic acid but also vitamin B6 and B12 are particularly beneficial since the demand for these nutrients is also increased during pregnancy and while breastfeeding. By combining these vitamins with folic acid, the cells are most effectively protected against harmful influences. In addition, B12 ensures the activation of folic acid in the body. During pregnancy, folic acid has an influence on the baby’s cell division and development, production of DNA, formation of blood cells and protein metabolism. Taking too much folic acid has no negative effect since it is simply excreted via the urine. It should be taken at an early stage—preferably a few weeks before pregnancy—to ensure that the body is functioning as healthily as possible and the baby can already benefit from this important vitamin in the first few weeks. According to studies, an additional intake of 600 micrograms of folic acid at least four weeks before pregnancy and especially during the first trimester can reduce the risk of birth defects by 50 to 70 percent. It is therefore recommended that women who plan on becoming pregnant begin taking 400 micrograms of folic acid per day as a precaution. Folic acid is available in tablet and capsule form or as lozenges in pharmacies and drugstores. It is best to consult your gynecologist or obstetrician about the appropriate dosage.